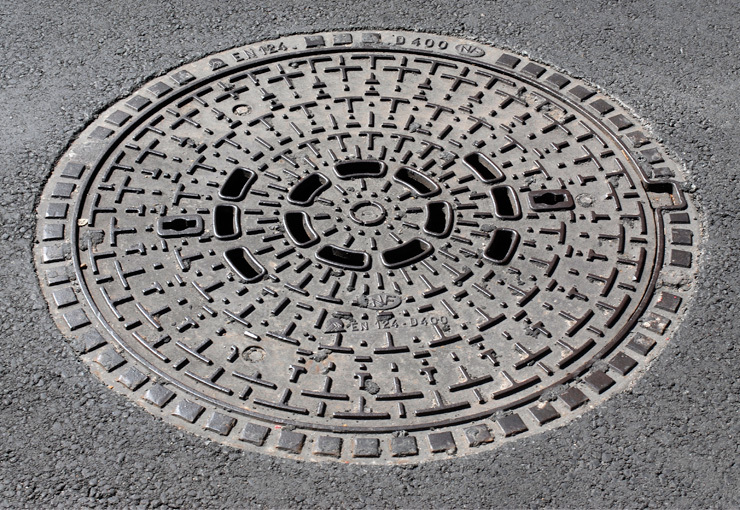 Access cover class D 400 or F 900 / EN 124, clear opening 800 mm round. 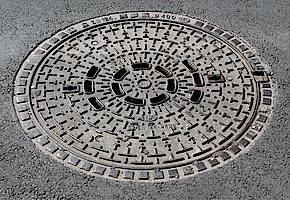 Type Selflevel®, cover and frame made of cast iron (grade "GGG") with nonskid surface, with damping insert between cover and frame. Frame designed to be rolled into asphalt (self-levelling principle), raisable, with adaptor ring, with locking device.